What Makes a Healer a Healer? Are you a healer? Could you be? What is the healing gift and how can you enhance it in yourself? 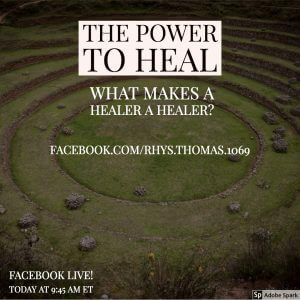 Join me today when I will share the power to heal. And if you want a deeper experience of how to access the intuitive power and healing frequencies of the healer, join me at INSIGHT, Sept 16, 12-6pm, in Milford MA, or livestream in – you can register at, www.insightliveevent.com Remember, just one clear insight can change your life!